BOLLYWOOD actress Madhuri Dixit Nene wears a simple sari in the first look of her Marathi movie debut Bucket List. 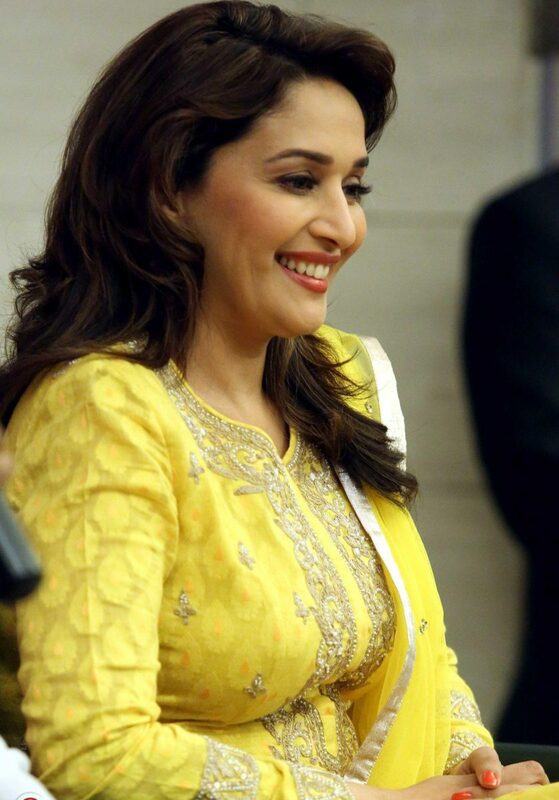 Madhuri Nene unveiled the look via Twitter on Sunday. The poster features her dressed in a traditional green sari with a contrasting blouse, a red bindi, a mangalsutra (a necklace worn by married women) and her hair loosely tied. The make-up is minimal, giving her a look reminiscent of that of Sridevi from English Vinglish. The poster’s backdrop is colourful and teases the movie’s story with labels of the different roles that a woman plays in her daily life – housewife, mother, friend, sister and daughter. Earlier, the makers described the project as a slice-of-life film that revolves around the journey of self-realisation of a woman with a dash of humour attached to its narrative style. The film will be directed by Tejas Prabha Vijay Deoskar, who has also written the script along with Devashree Shivadekar.